The Charlotte Metro Area Relocation Council is a network of relocation professionals committed to meeting the needs of transferring employees and their families. Established in 1996, CMARC, is an affiliate of the Worldwide Employee Relocation Council (WERC). This affiliation provides a local forum for discussion, problem solving, information exchange and education regarding the relocation industry. For more information on WERC, please visit www.worldwideerc.org. CMARC meets once per quarter in March, June, September, and November. The first three meetings are during lunch, and the November meeting is an after-hours social event. Please visit our Events tab for further information. In the spring of 1994, Terry Orrell, of the Economic Development Division of the Charlotte Chamber invited a group of Relocation Professionals to meet and discuss the formation of a Relocation Organization. The objective of such an organization would be to provide educational and networking opportunities for Relocation Professionals from both the Service and Corporate side of the business. The initial group consisted of Relocation Professionals from the real estate companies of Allen Tate, Coldwell Banker, Cottingham Chalk and Prudential Carolinas Realty. This group was expanded to include Armstrong Relocation as well as corporate professionals from Bank of America and Duke Power. 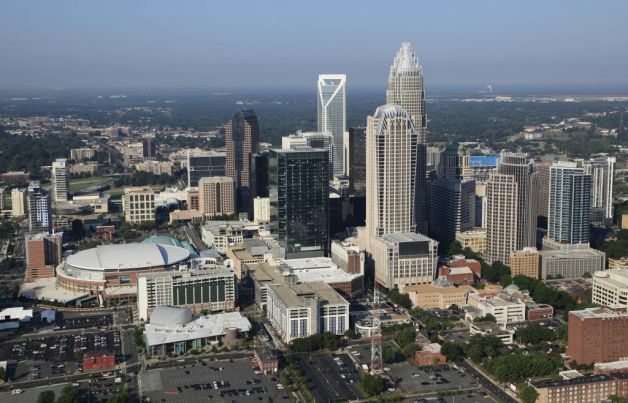 In 1996, the Charlotte Metro Area Relocation Council (CMARC) was created as a non-profit organization and this initial group of seven people became the first Board of Directors. Working closely with the Charlotte Chamber, quarterly meetings were held and Education became the key focus of the organization. Using the Metro Atlanta Relocation Council (MARC) as a source of reference, the by-laws of the organization were written and committees were formed. In 1999, the Chamber decided that CMARC was large and strong enough to survive without the Chamber as a liaison and since that time it has continued to grow in strength and numbers.